An old family reserve port that is being bottled and released in small quantities probably under the name "5G". It is believed to be at least 80 years old. 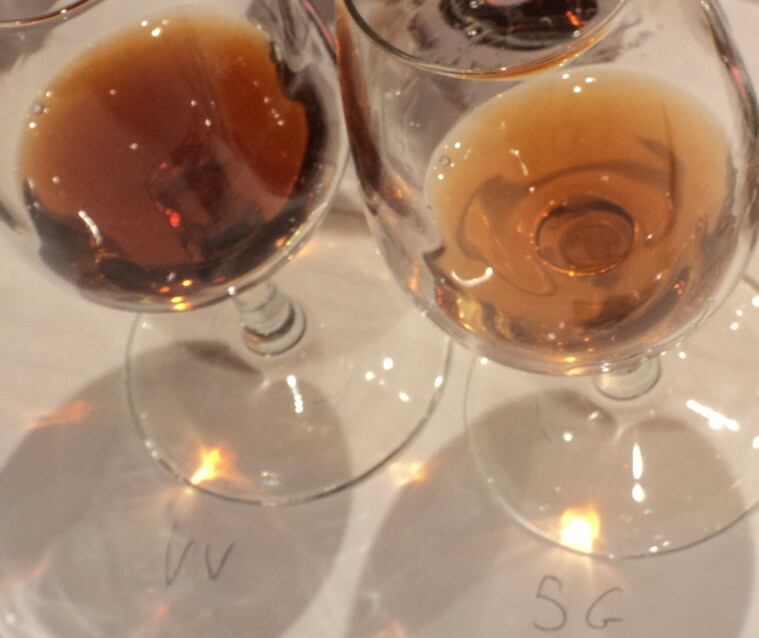 Being compared in the picture to the current bottling of the Niepoort Vinha Velha. Very old tawny from the family reserve of Jorge Borges. Light honey colour, 10% opaque. Light honey and marzipan on the nose, reminding of Golden Syrup. Very sercial-like in its acidic attack, very sharp and focussed. Delicate flavours of clover honey float among the lemon oil, quite thick in texture. Great length, feminine and delicate with a good lingering presence. The very end of the finish is surprisingly like crystallised honey. Tasted 20-Feb-13. Pop 'n' pour.